Fenugreek is an age-old remedy for hair loss and thinning. It stimulates blood flow to the scalp, nourishes the hair follicles to promote faster and healthier new growth. Fenugreek is also a great alternative to store bought conditioner, thanks to its high mucilage content – which provides slip like conditioner and makes detangling very easy. 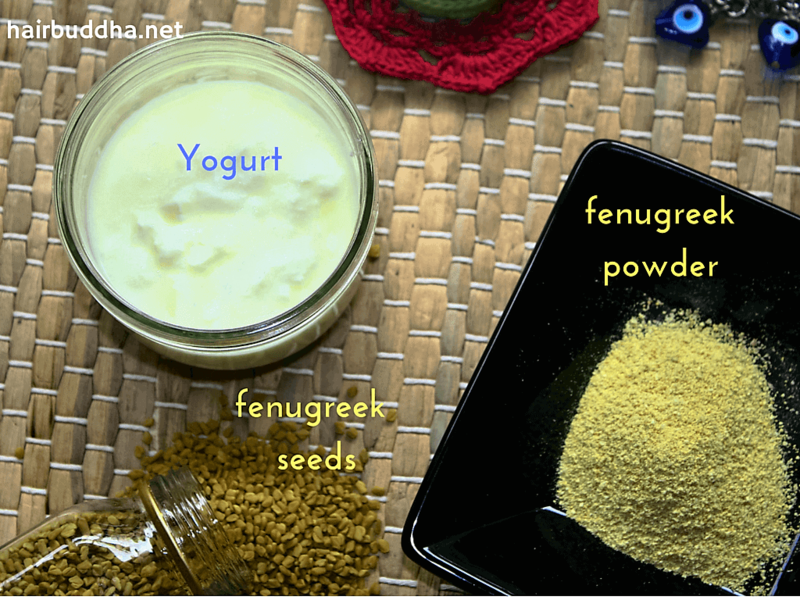 And if you have dry, coarse or frizzy hair, fenugreek can come to your rescue. Regular use of this herb in a hair mask or deep conditioner will naturally soften your hair, increase manageability, and restore lustre and bounce. In addition, fenugreek also contains antioxidant and anti-inflammatory properties that help with dandruff, scalp irritation and acne.